Of all the states of mind you can have, overwhelm is the one that can be easily overcome. You don't have to allow it to sabotage your business success. Here are fifteen ways to turn “overwhelm” into “sanity.” My clients and I use them to get the inspiration needed to feel empowered each day. These are simple techniques that you can implement in 10 minutes or less. The point is for you to recognize the simplicity of shifting your approach to running your business. It can make an ENORMOUS difference in keeping you sane! Bright Shiny Objects (aka BSOs) are the enemy. When you run after ideas that aren’t in line with top priorities – you’re wasting time, energy and money – and will quickly become overwhelmed if you don’t reign them in. Each day take a look at your to-do list and prioritize those items so that you spend time on the most critical tasks first. We have all sorts of notifications distracting us throughout the day. Cell phones ringing and emails popping up in your inbox are constant reminders that someone wants your attention. Avoid the temptation to let those kinds of distractions run your day and watch as you achieve exponentially better results with your to-do list. You can learn quite a bit from those who are already productive and successful so seek them out and learn from them. You’ll quickly discover how critical excellent time management skills are to the success of your business. Before you say yes to an opportunity through sheer excitement (remember BSO? ), determine what criteria it needs to meet. This can be a list of questions you ask yourself regarding the importance of the opportunity to your top business priorities. If it will contribute…it may get a “green light”. If it's going to cost you more time and energy than it's worth, according to your list of questions, it gets a “red light and you move onto more productive opportunities. When you don’t reinforce personal boundaries, you fall prey to taking care of other’s needs before your own. Discover what you need to do to strengthen your limits, especially around your time and energy, so other people’s overwhelm doesn’t become your own. A key to prioritizing your time is to understand what activities make you the most money and move you forward faster. Be clear on what activities give you the highest payoffs, then get rid of the rest! Want to drain your energy and drown in overwhelm? Keep spending time on those tasks that burn you out. Find those people who thrive doing all the jobs that consume you and delegate those activities. You’ll receive the gift of time and find you have more energy. Think you are too busy and overwhelmed to take time off? Nonsense! When you take a break, you actually give your mind a chance to clear. You then can re-prioritize what is essential to get done. Being busy is not an efficient or noble strategy. You might think things are getting done, but in reality, you are wasting a lot of energy with little or no results. You can beat the busy addiction by recognizing those signs you are over-committing yourself because you are used to being busy. Low profit offerings are a big reason many entrepreneurs face overwhelm. Very often we fail to understand the cost required to generate a profit for an offer we created. Many times the profit margin is ridiculously low or non-existent. Dump those offerings as quickly as you can. There are a ton of steps involved in making a new program or offering profitable. As a visionary and creative business owner, it’s important to channel your creativity to make what you have work better, increase profits and decrease your overwhelm. Haven’t heard of time chucking? It is a practical strategy where you lump like-activities together to use your time more efficiently. Our brains don’t focus as well when we jump from task to task. When you time chunk similar activities, you can work faster and get much more done. 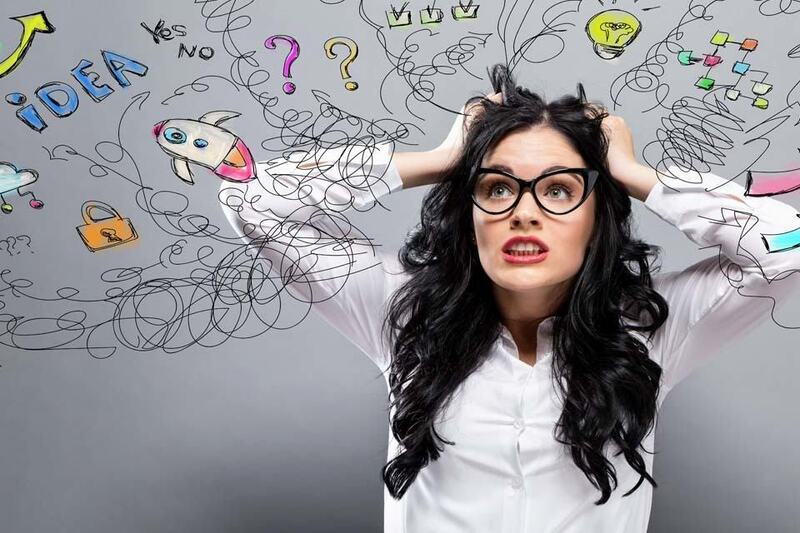 When your energy and state of mind are not prepared for high productivity, overwhelm quickly takes over, and you’ll discover your mind unfocused and your energy low. Ways to help you kick overwhelm to the curb is by getting a good night’s sleep, eating healthy foods, and avoiding caffeine and sugar. Many times new entrepreneurs let others define their success instead of setting it for themselves. If you do this, it leaves you burned out and disconnected from your business path…because it isn’t yours. Take the time to get clear on what success looks like to you. In the end, you’ll make better choices. Every one of us is unique, so, go ahead, determine for yourself what your rules for success are! CLICK HERE to discover the 10 Fastest Ways I've Personally Used For Over 1,092 Change Makers, Thought Leaders and Visionary Entrepreneurs to Quickly Increase Cash Flow (And Develop a More Profitable Business). 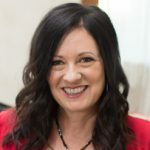 Melanie Benson (formerly Melanie Strick), a Revenue Strategist and Business Performance Optimizer, is a guide for conscious entrepreneurs ready to accelerate their impact and income by making their business perform 10 times better. With over 12 years experience in corporate America, Melanie specializes in aligning visionary, game-changing entrepreneurs who are emerging as leaders with the most powerful mindset, actions and strategies that propel them to a level of success they never knew they could achieve. Melanie lives in the Los Angeles area with her soon-to-be husband. As an avid lifestyle enthusiast she spends her free time in search of the best spas and beaches in the world. You can’t achieve your next level of success the same way you got to this level. Bold visions require new rules. Everything you say yes to means you are saying no to something else. Be sure you are saying yes to the right things. Delegate anything that someone else can do better, faster or cheaper than you. Leadership activates the most powerful and sustainable growth force in an entrepreneur. Radical leverage keeps the entrepreneur focused on the activities only they can do. A profitable business is the result of optimizing what you’ve spent countless hours creating; instead of spending countless hours creating more stuff. The quality of your results is based on the quality of your decisions, which is influenced by the quality of your mindset. Being busy keeps you in motion. Being productive drives profitable results. Know the difference between busy and productive. When you simplify your business, you can quickly multiply your results because you’ll have time to make your best offerings perform better. Unlimited resources are available when you are in right action – that’s when the fire inside propels you into outcomes you can’t see but are always there. Social Media: Get In, Get Out, and Get Back to Work!